This season marks the 16th Anniversary of the annual online tourney ! "The 1st .. The Original"
Here are the rules for our online tourney. 1) You must be an IceShanty member and signed up by the deadline. the picture as well as the TI 2018 card while still out on the ice. No part of the fish should be on the rule but I make exceptions for a fin, etc.. only yellow push/pull rules will be allowed. The rule should be above or below the entry not stretched on the entry. Only the entry fish - No multiple fish in the photo. No inside shanty pics. Only the IS tournament card .. no other cards in picture. b.) Photo 2: This photo must have the angler and fish together while still out on the ice with the lake in the background and the anglers face uncovered. I need to see the shoreline. If you are too far out to see the shoreline I need to see ice holes, tip ups, etc.. No downward pictures .. we want a view of the lake. No inside the shanty pictures. If the pic is taken at night kneel and take the pic at a downward angle so as to include the ice. Daylight pictures require background (view) as stated above. I will be allowing the tourney card on smartphones for entries. Just like the printed card if I can't read it the entry will be DQ'd. No altering of the photo's or immediate DQ. All entries must be fresh caught fish .. not frozen or gutted. Take the pic immediately while the fish looks good. If it sits all day and looks bad it will be DQ'd. 5) The photo must be posted on leader board in the proper category (no snail mail) within the tournament dates/times by the entrant. 6) The entry is length only - not girth or weight. b. )Only post entries that can challenge the leaders board. Any " short " entries can be posted in the "short" entries area to qualify for the weekly drawing. *If the entry is flopping you may place one hand to hold it down .. not two hands. No holding the mouth shut. * I will not be PM'ing measurements/results. You can check the leaders board. There will be a "short" category to post any entries that do not challenge the leaders board. By doing this I won't have to check measurements and it allows signed up members to be eligible for prizes in the weekly drawings. Once you post an entry in either the short category or in the main categories you're eligible for the drawings. Your screen name will only go in once no matter how many entries you post and if your name is drawn you are then out of the drawings. Entries must remain posted for the duration of tourney. If you are banned from IS during the tournament you are banned from the tournament as well. In the event of a tie the first entry entered will be honored. The Youth category will be eligible for Trophy Prizes and weekly drawings as well. Entries meeting the Trophy requirements will go into a separate drawing. Only entries posted in the entries area are eligible. Entries in the non entry area are not eligible.The entrants name will go into the drawing once and only one prize per entrant. Must be at least this length to qualify for randomly drawn Trophy Prize. Northern Pike and Musky 44"
Decisions/Results will be posted by and on the Team IceShanty site. One a week for 5 weeks. one per drawn trophy entrant. Total of two packs .. 1 per drawn entry. Winners must contact me (LoneWolf) with your information within 10 days at the end of tournament. 1. Eligibility. NO PURCHASE NECESSARY TO ENTER OR WIN. To be eligible to win a prize, entries must be completed and received by Iceshanty.com in the format designated below. All applicable federal, state and local laws and regulations apply. Offer void where prohibited. 2. Disclaimer. Iceshanty.com , all participating sponsors and any of their respective parent companies, subsidiaries, affiliates, directors, officers, professional advisors, employees and agencies will not be responsible for: (a) any late, lost, mis-routed, garbled or distorted or damaged transmissions or entries; (b) telephone, electronic, hardware, software, network, Internet, or other computer- or communications-related malfunctions or failures; (c) any Contest disruptions, losses or damages caused by events beyond the control of Iceshanty.com ; or (d) any printing or typographical errors in any materials associated with the Contest. 3. Contest Sign-up Period. The Contest Sign-up Period is from December 11th, 2017 to December 30th, 2017, 10:00 pm, EST. (the "Sign-up Deadline"). All entrants must be signed-up by the Sign-up Deadline to be eligible to enter a photo. 3. Contest Period. The Contest period is from January 1st, 2018 through March 12th, 2018 (the "Deadline"). All entries must be received by the Deadline to be eligible to win a prize. 5. Iceshanty.com Ownership of Entries. All participants retain full rights to Entered Photos. Permission is hereby granted to Iceshanty.com to use, copy, modify and/or distribute this entries. Entries will be available to download freely by the public. A non-exclusive royalty-free right is granted to Freeman Enterprises to use photos in future logos and promotions of the future tourneys. 6. Original Work of Authorship. You hereby warrant and represent that (a) you own all rights to all Photos submitted by you; and (b) all such Photos are original works of authorship on your part and have not been copied, in whole or in part, from any other work and do not violate, misappropriate or infringe any copyright, trademark or other proprietary right of any other person or entity. 7. General Release. By entering the Contest, you (and, if you are a minor, your parents or legal guardians) release Iceshanty.com participating sponsors and any of their respective parent companies, subsidiaries, affiliates, directors, officers, employees and agencies (collectively, the "Released Parties") from any liability whatsoever, and waive any and all causes of action, for any claims, costs, injuries, losses, or damages of any kind arising out of or in connection with the Contest or acceptance, possession, or use of any prize (including, without limitation, claims, costs, injuries, losses and damages related to personal injuries, death, damage to or destruction of property, rights of publicity or privacy, defamation or portrayal in a false light, whether intentional or unintentional), whether under a theory of contract, tort (including negligence), warranty or other theory. IF YOU ARE A MINOR, YOUR PARENTS OR LEGAL GUARDIANS FURTHER AGREE TO INDEMNIFY EACH OF THE RELEASED PARTIES FROM ANY CLAIMS, COSTS, INJURIES, LOSSES, OR DAMAGES DESCRIBED IN THE PRECEDING PARAGRAPH WHICH MAY BE SUFFERED BY YOU. 8. Copyright Notice. The Contest and all accompanying materials are copyright © 2017-18 by Iceshanty.com . 9. Miscellaneous. The Contest and these Official Rules will be governed, construed and interpreted under the laws of the United States. Entrants agree to be bound by these Official Rules and by the decisions of Iceshanty.com , which are final and binding in all respects. Iceshanty.com reserves the right to change these Official Rules at any time, in its sole discretion, and to suspend or cancel the Contest or any entrant's participation in the Contest should viruses, bugs, unauthorized human intervention or other causes beyond Iceshanty.com ' control affect the administration, security or proper play of the Contest or Iceshanty.com otherwise becomes (as determined in its sole discretion) incapable of running the Contest as planned. Entrants who violate these Official Rules, tamper with the operation of the Contest or engage in any conduct that is detrimental or unfair to Iceshanty.com , the Contest or any other entrant (in each case as determined in Iceshanty.com ' sole discretion) are subject to disqualification from entry into the Contest. 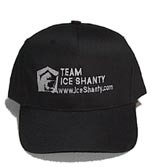 Iceshanty.com reserves the right to lock out persons whose eligibility is in question or who have been disqualified or are otherwise ineligible to enter the Contest. 10. Force Majeure: Iceshanty.com reserves the right to change, suspend, or cancel the contest if, in Iceshanty.com's sole discretion, intervening circumstances warrant such change, suspension, or cancellation. Intervening circumstances include, but are not limited to, interruption, preemption, or cancellation of contest owing to conditions beyond Iceshanty.com's control, such as strikes, labor disputes, war, insurrection, revolution, terrorism, riot or other civil disturbance, earthquake, fire, flood, or other natural disasters, governmental restrictions, embargoes or other exercises of governmental authority, unavailability of supplies, or any other cause beyond Iceshanty.com's control.